Sink Repair Anytime - At Jimmi The Plumber, we’re always there for our customers. If your sink has a leak, get it fixed immediately—you can’t afford to wait. The longer your sink leaks, the more likely it is to rot your cabinets while creating an ideal environment for mold and bacteria. All this could end up costing you more in the long run. The problem is, many plumbers aren’t available on nights or weekends. Whenever you call us at (847) 584-3493, night or day, we will be there. Best Equipment - Some plumbing companies will do anything if they think it will save money, even if it means using outdated tools on your sink that cost more to operate, take longer and do a less efficient job. At Jimmi The Plumber, we invest in cutting-edge plumbing tools that help us serve you better. Fast Service - We know you’re busy. If you had all the time in the world, you could learn how to do the job yourself. Why not take advantage of Jimmi The Plumber’s years of experience? We’ve been fixing sinks since 1989, so we know how to fix every sink problem in the book. Whether your pipes need caulk or your sink needs a new aerator, we have the expertise to spot every common sink problem and fix it as fast as possible. Since 1989, we at Jimmi The Plumber have prided ourselves on providing fast, professional, knowledgeable service. 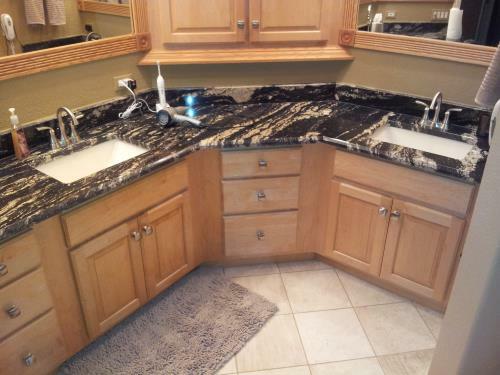 Your sink problem will get worse before it gets better... so call (847) 584-3493 today for a free consultation!